We offer a limited number of tanned roe skins. They measure about 28" to 42" long by 20" to 24" wide. Our Gxx codes denote individual pieces. 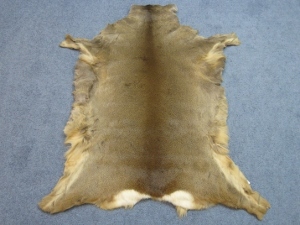 If you would like to order a specific roe deer skin, please go to our Gallery to pick the exact one shown. Genus and species: Capreolus capreolus. Wild. Roe deer are not an endangered species. The animals are not killed just for their skins. 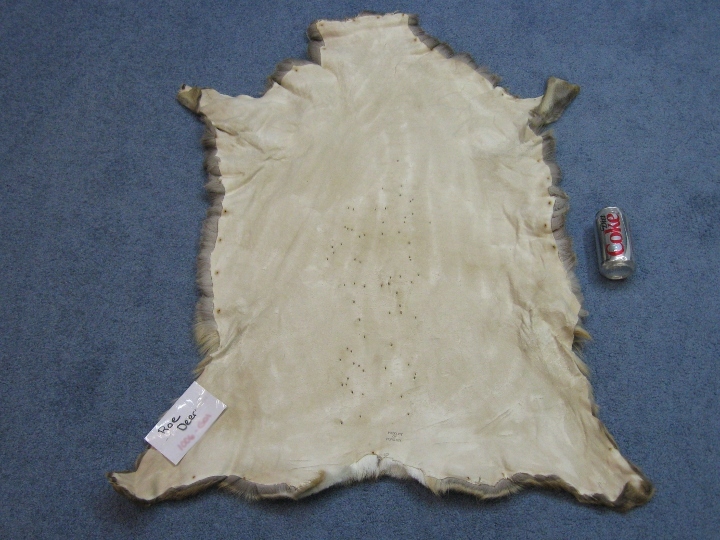 A USFWS export permit is required for all shipments outside of the United States.